PLEASE NOTE: This app requires a Merge Cube and a smartphone or a tablet to play. To find out how to get a Merge Cube and learn more, visit our website at: https://www.MergeCube.com. 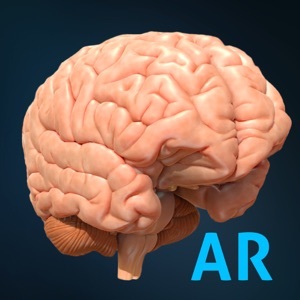 AnatomyAR+ utilizes the latest in technology -- Augmented Reality (AR) -- to take a closer look at the most iconic and vital organs of the body: the brain, the heart, and the lungs. 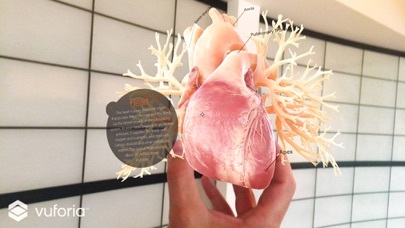 View the anatomy from the palm of your hand -- and from any angle -- with the Merge Cube. 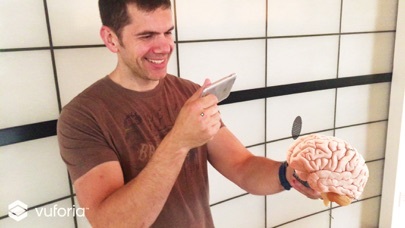 The brain: view and interact with the brain anatomy from all angles. Fade away the outer surface of the brain to look inside and examine the limbic system. Isolate the internal anatomy that makes up the basal nuclei. 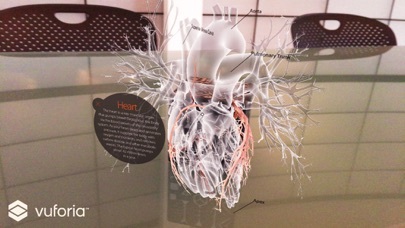 The heart: explore the living human heart in vivid detail as it beats. Bring forth the inner anatomy to view valves and chambers working together in sync. 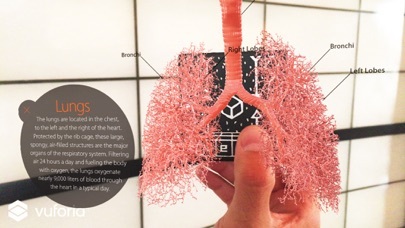 The lungs: examine the structure of the lungs and watch as the breathtaking complexity of the bronchial tree is revealed, from any angle you choose. Each “stop” is supported with annotations and descriptions.